Holiday shopping should never be stressful. You should be able to think about the recipient’s hobbies or activities, and buy something in that category. The gift suggestions below are split into a few categories to help you focus on particular interests. At the end are links to ideas from previous years to fill some gaps. Happy shopping and Happy Holidays! Travel Kit – This is for long flights and can be made from various items. Include a Belle de Nuie Eye Masque, Flents Quiet! Please ear plugs (CVS, Walgreens, Walmart), plane headphone adapter, sample size of mouthwash and toothpaste, portable toothbrush, lip balm, and a pair of non-skid socks. Place all in a small toiletry bag. Braven Bluetooth Speakers – These have a built-in power bank to recharge portable devices, a 2-way, noise canceling speakerphone for clear conference or hands-free calls, have a great sound and are louder than most this size on the market, and can be linked to multiple Braven speakers, or another bluetooth speaker from another brand for an even bigger sound. 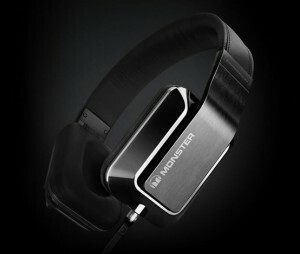 Monster Inspiration Headphones – They feature high-end audio performance, active noise cancellation, and are super comfortable. Available at Mrs. G’s. Anker Astro3 Power Bank – This can be used to charge and power mobile devices, even a tablet or netbook, low on battery. Hydro Flask – This double wall, vacuum insulated stainless steel water bottle can keep cold liquid COLD for 24 hours and hot liquids HOT for 12 hours without sweating. 3M Streaming Projector – Enjoy your favorite movies and shows on a screen up to 120″ almost anywhere. The included Roku Streaming Stick and wi-fi will allow viewing of Amazon Instant Video, Netflix, Hulu PLUS, Crackle, HBO GO and other content, totally 600+ options. Brita Bottle with Filter – You can travel with this empty and fill up water ate a water fountain at the airport, in a park or wherever for filtered water on the go. Silk Airplane Blanket – Made of 100% raw silk, it’s as warm as a regular blanket, yet takes up far less space. A 10″ pocket at the bottom keeps feet toasty, and the entire blanket rolls up and tucks into a 12 x 4″ pouch that you can toss in your carry-on bag. Tablets – The iPad and iPad Mini are tablet powerhouses. The battery life, retina display, and apps are hard to beat. If you need to watch flash video (which Apple products are lacking), consider the Google Nexus 10 or 4. Apple products available at Creative Computing. Control4 – This system gives you a smart home. The brain of it is a controller that looks like a DVR and automates whatever is connected to it. You can dim lights, turn on the security system, unlock doors, play music, start up a movie and more through your smart phone, tablet, touchscreen, or remote. Streaming Video – DVDs (as well as Blu-rays) are becoming dinosaurs. Plan now for the future, which is streaming video via wi-fi. Apple TV is great for both audio and video if you’re in the Apple ecosystem. If not, consider the Roku 2 XD or Roku Stick to stream over 600 channels, i.e. Netflix, Pandora, Amazon Instant Video, and Hulu Plus. Streaming Audio – CDs are also fading. The Apple TV also works for audio. Another wi-fi choice is using the Sonos System that lets you play content from you computer or mobile devices, as well as from pre-loaded internet radio stations. A cheaper option is the Belkin Bluetooth Music Receiver connects to your stereo to play music from your Mac or PC, tablet or smart phone through your system. Ultrabooks – The Macbook Air was released in 2008, and is the standard. Besides the MBA, you can buy the Lenovo IdeaPad Yoga 13, which is a hybrid device working as a tablet and ultrabook, since it has a touch screen and 360 degree hinges. Kindle Paperwhite – Sometimes you just want to read… anywhere or anytime. The Paperwhite allows you to read content at the beach or in bed with the lights off. Wii U – Nintendo takes the Wii to the next level adding a game pad giving you a second screen. KettlePizza – 22.5″ – Outdoor Pizza Oven Kit for 22.5″ Kettle Grills at Mrs. G’s. Miele CM 5100 Coffee System – Programmable whole coffee bean system making espresso, double espresso, coffee, and double coffee at Mrs. G’s. Gift Cards – Buy Local! Bent Spoon, Small World Coffee, Olsson’s, Bon Appetit, or Savory Spice Shop. Squier by Fender USB Stratocaster Guitar – Connect it to a Mac and use it with Garage Band, or to an iOS device, i.e. an iPad, and purchase the Garage Band App. Available exclusively at an Apple Store. Check out the Bridgewater Commons or Menlo Park. Farrington’s Music – Pick up a drum set or electric guitar or sign up your loved one to be in a rock band! Luxaby Baby & Child – Princeton Squirrel Gear. Hamilton Jewelers – Embroidered pillows, charms, etc. Princeton Army & Navy – Princeton U Gear. Landau’s – Princeton U Gear. Labyrinth Books – Bruce by Peter Ames Carlin is a biography about Jersey boy Bruce Springsteen. fitbit One – It tracks your steps, distance, calories burned, stairs climbed, and will measure your sleep cycle at night. Zeo – A more detailed sleep manager than a fibit One. The Bedside Sleep Manager is fantastic for monitoring your sleep cycles. It takes into consideration how much caffeine you’ve had, how you feel after sleeping, etc., and will analyze for sleep and make recommendations for a better night sleep. It’s for home use, so consider the Sleep Manager Pro+ for on the go. lululemon athletica – A great source for yoga and work out clothing. Magnificent You – This is a small facility, and therefore the prices are quite reasonable. The message therapist is certified in massage and Reiki. She will even come to your home with equipment in tow to relieve you of stress or pain, or relax you. She also gives pre-natal massages. Phrog Fitness Studio or PTS Health & Fitness – Get a gift certificate to on of these smaller, more personalized fitness centers. Phrog is in a spa-like atmosphere and each circuit session is with a personal trainer, or you go do cardio on your own, or join a class like Zumba or yoga. PTS is more of a traditional gym, where you train own your own, but could add personal training sessions à la carte. The Art of Shaving – While the shaving kits are convenient and less expensive, I recommend the silvertip badger brush (softest), shaving soap (better cushion than creams), and a straight razor (more control of angle) for the ultimate shave. Get a stand to hang the brush upside down, so all of the water drips down and away from the base. A double stand keeps a safety razor with the brush. MetroMale Barbering II – This Skillman shop offers shampoo and conditioning, haircuts, beard trims, coloring, hot towel neck and face shaves, spa manicures, and shoulder massages. Get a gift certificate for a Diamond Package to spoil your favorite guy. Jaeger-LeCoultre Watch – It’s a high-end luxury timepiece that isn’t ostentatious. The watches can be seen in Iron Man 2, Mad Men, the Batman Trilogy, The Thomas Crown Affair, as well as other movies and shows. JL is one of the few companies to still make its own movements, cases, dials, hands, and bracelets, and is well-known for its Reverso timepieces. Get it at Hamilton. The Papery – A Cross pen is moderately price, yet makes much more of a statement than a Bic or Paper Mate disposable ballpoint pen. Kate Spade – Kennedy or Grayce bags on sale for 40%off (no known end date). Available at Palmer Square store. Lindt Chocolate – You can’t go wrong with an assorted box of chocolates or truffles. SmartTalk – Get a subscription to this series of strong women (Doris Roberts, Dr. Ruth, Marie Osmond, et al) speaking at the State Theatre in New Brunswick. McCarter Theatre – Buy tickets to the best entertainment in town. Enhance theatre experience by buying After Dark or Dinner & Theatre tickets. Kitchen Kapers – The Vinturi Deluxe Wine Aerator Set includes wine aerator, no drip stand, sediment filter, Vinturi tower, and no splash grate. It mixes red wine with air to enhance flavor, bouquet, and finish. Montgomery Eye Care – They just started carrying Tom Ford frames earlier this year. Just sayin’. Rent the Runway – Whether it’s a gala benefit or a girls’ night out, this will make any female into fashion VERY happy. Romantic Date Night – Firewood (if she has a fireplace) and a bottle of bubbly from Cool Vines combined with a Your Kitchen Your Way certificate from Princeton Errands. They will set your table, serve, leave and return to clean up.